Tourists and travelers are always in the search of luxury trains and rides that will not tire them in the journey as they have to travel and to move all around the world. 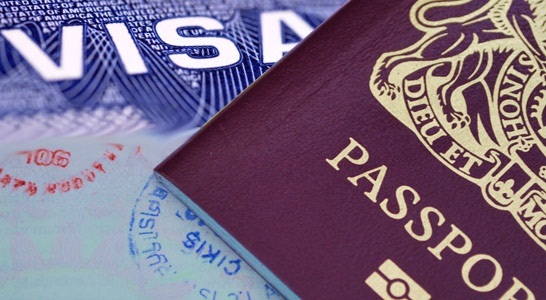 If you are also a traveler and looking for the awesome and luxurious ride in India, then this is the right place where you have checked into. Here is a list of top luxurious rides in trains of India that will leave you stunned. It is the luxury train travel in India. 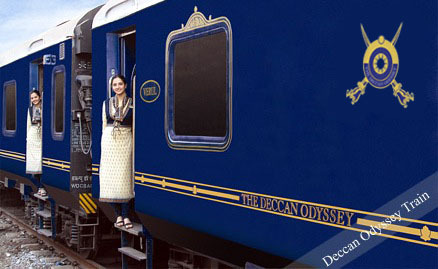 The trip to two types can be taken by the Deccan Odyssey, which is the Silver to Platinum class and the other one is the Heritage of Maharashtra. The first trip is a 7 nights and 8 day stay trip that gives you the ride ranging from Mumbai to Agra, Udaipur to Jaipur and Delhi to Ranthambore. And the second one is the trip to Mumbai, Goa, Kolkata, Jaipur and Agra. This trip also a 7nights and 8days stay. The royal type experience of the India, Royal Rajasthan on Wheels could probably the best choice for you if you are looking for something cultural and traditional. The journey of this royal train starts from Delhi and then ends at Delhi. It was launched in 2009 after the grand success of the Royal Palace on Wheels. It is the luxury tourist train that routes on 8 day based trip. The Golden Chariot now operates on two different tours. The pride of South and the Southern Splendor. The tourists will experience the best tour of their life in the luxurious fashion through Golden Chariot. 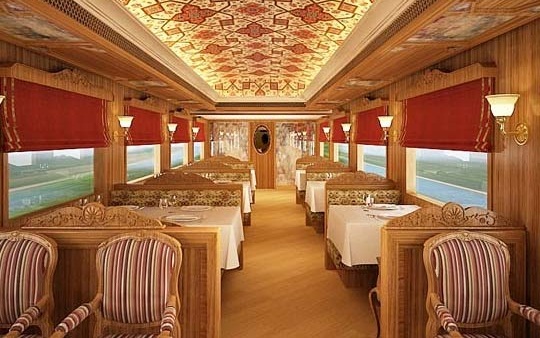 The 2nd most luxurious train for tourism is The Palace on Wheels. It is a pride creation of the Indian Railways that promotes tourism in the India. 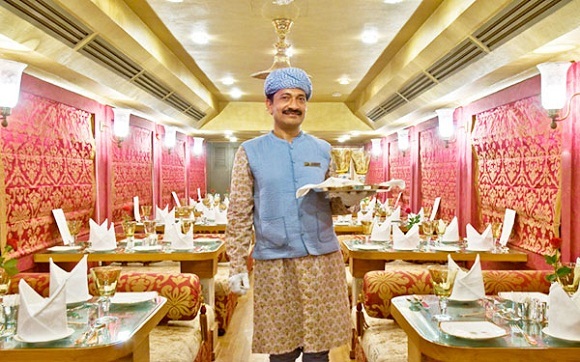 The modern and stylish décor with the spark of the trip to whole India is the best part of the Palace on Wheels. The train has the 8 days and 7 night’s routes starting from New Delhi to various cities of India. The splendor arrangement and the palace like environment give the tourists the awesome experience for their life. It is the most luxurious train of the World. It is owned and managed by Indian Railway Catering and Tourism Corporation. Besides being luxurious, it is also the most expensive train of the world. The Maharaja’s Express runs on 5 routes that cover almost 12 destinations across the India. The package of the tours contains the 4 types of trips which include Heritage of India, Indian Panorama, The Indian Splendor and the Treasures of India. Hence, the greatest way to enjoy and discover the Indian destinations like coastal towns,villages and regional areas in the most comfort way is only through the luxurious train of India that are mentioned above. If you are also planning to visit India, then don’t forget to tour by these famous luxurious trains.